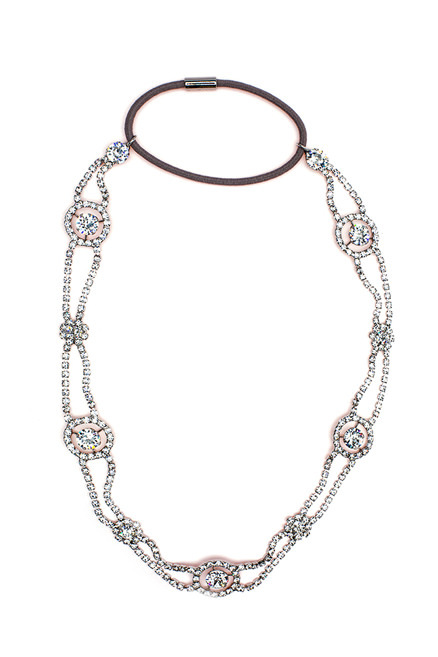 This ornate Swarovski head wrap harnesses the style and allure of the 1920s Art Deco movement. It is finished at the back with an elastic band for a comfortable and flexible fit. 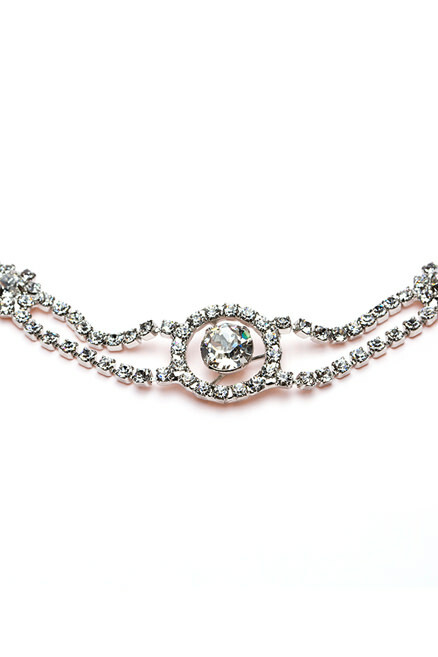 Wear under a bridal veil for your wedding and with hair loosely twisted into the back for any other special occasion. 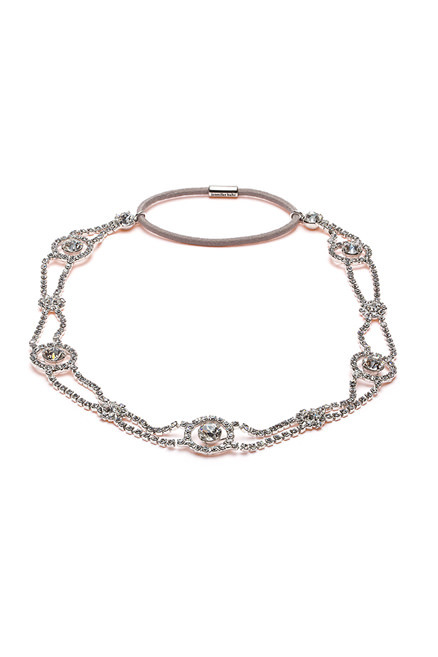 All Jennifer Behr pieces are handmade in New York City.